Soprano Marina Costa-Jackson is part of an operatic family tradition. There's a way of looking at Marina Costa-Jackson's operatic career as the most obvious development in the world. And there's a way of looking at it as a fairly improbable destination. The soprano makes her Utah Opera debut in a joint production that finds her playing Nedda in Leoncavallo's Pagliacci and Lauretta in Puccini's Gianni Schicchi, but she's no stranger to Utah. Her father is from Salt Lake City, and she studied at both Utah State University and the University of Utah. Yet her family roots also go back to Italy—specifically Palermo, where her mother was from, and where she lived for several years as a child, growing up speaking Italian while her father was in the Air Force. It was there that opera was "just a constant soundtrack to my childhood," Costa-Jackson says. Her two sisters, however, were the ones who first showed an interest in operatic singing, and a facility for it. "My younger sister, Miriam, was copying [the singing on the recordings]," Costa-Jackson recalls, "and my mom turned around and went, 'Woah.' She got it started." Both Miriam and Costa-Jackson's older sister, Ginger, started performing opera, but Marina didn't think she'd end up following in their footsteps. "As the middle child, I was the one who had the most stage fright," she says. "When my sisters performed, I'd be nervous for them." Costa-Jackson's Pagliacci counterpart, tenor Scott Piper. Costa-Jackson describes herself as "indecisive" about her own career path, and initially began studying child psychology. But at one concert listening to her sisters, at around the age of 21, she had a change of heart. "Nothing can be more thrilling than opera," she recalls thinking. "I got in on scholarship [to study music at USU], and it was one of the first times I actually sang in public." Thanks to financial generosity from Ginger—who was already performing professionally by that time with the Metropolitan Opera—Marina and Miriam were able to return to Palermo to study opera with a private tutor. Subsequently, Marina Costa-Jackson has been named the Maria Callas Debut Artist of the Year by Dallas Opera in 2017, and has performed with Seattle Opera, Washington Concert Opera and Oper Koln in Germany. Aside from the obvious family talent, Costa-Jackson believes there might be some particular connection with Italian works like the ones she's performing with Utah Opera. "I think if you had opera critics listening to any of our voices," she says of her and her sisters, "they'd say they're more apt for Italian opera. You could say it was a 'blood thing,' but growing up with the language, it's ingrained in who we are. If I were raised by a French mama, it might be different. I love singing in Russian, too, but the Italian language is in me." A little bit of Utah is in her, as well. While Salt Lake City isn't exactly Costa-Jackson's home town, she still believes there's going to be something special about her Utah Opera debut. "We've always, as a family, known about Utah Opera," she says. "Salt Lake is predominantly where my father's family is. My husband and I moved back here about a year and a half ago to make it our home base. And I love how much the people of Utah love the arts. It's very clear in the way we're building theaters here. It does feel good to be here, performing for friends and family. "Even the chorus has people I was with at Utah and USU," she adds. "When I'm around those I love, I always care just a little bit more about their opinion." 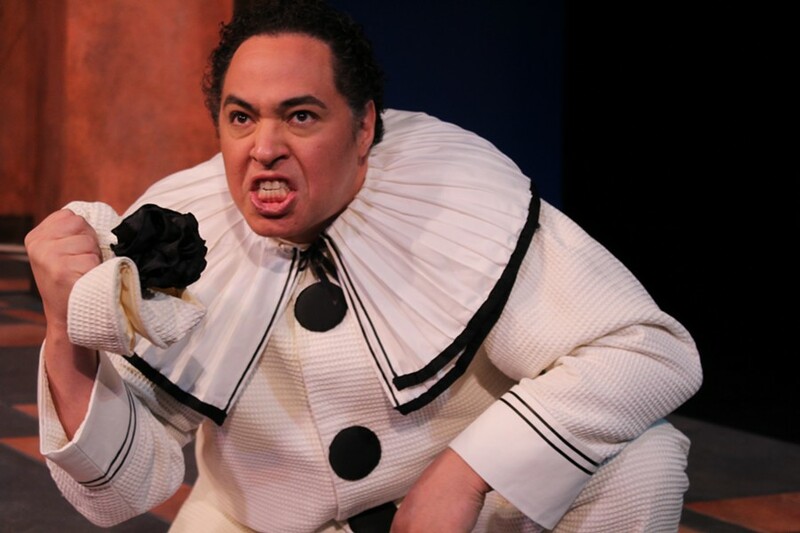 This performance provides a unique challenge by asking lead actors like Costa-Jackson to play very different roles in the grand tragedy of Pagliacci and the farcical comedy of Gianni Schicchi. "I have to say, I'm really glad Pagliacci comes first," she says with a laugh. "Better to have the farce at the end, because you get to leave the audience with a smile rather than tears." And while she acknowledges that the dual role isn't easy, she takes the true professional's approach of finding the connection between those roles. "Lauretta [in Gianni Schicchi] is just as passionate about her ideas as Nedda [in Pagliacci] is. It's no less passionate just because it's a comedy." While it might have taken her a bit longer to embrace the artistic calling that came more quickly to her sisters, she doesn't approach this performance like a girl who had stage fright. 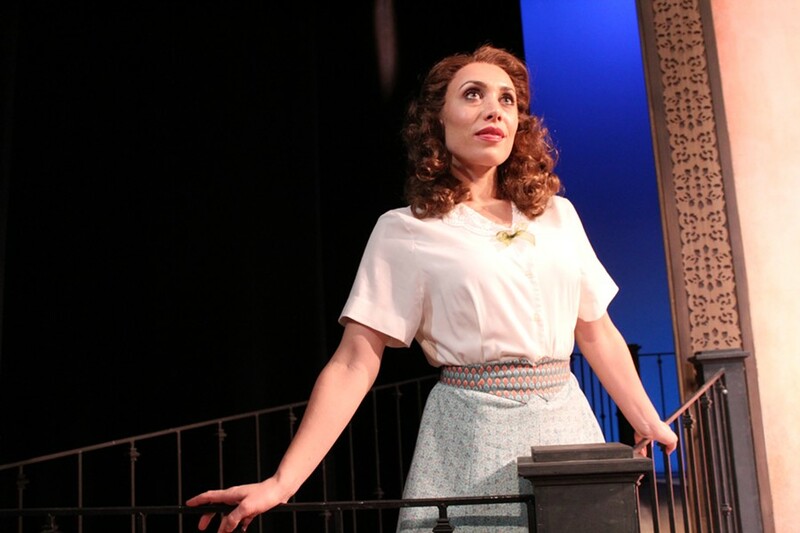 "Nedda was a role I learned in school, because I loved the music so much," Costa-Jackson says. "It had been on my top five 'I hope I can do this as soon as possible.' ... When you're offered an opportunity, you wonder, 'Will I be able to pull this off successfully?' I just proved it to myself."